Kid and beginner friendly; enthusiast approved. No soldering. Zip ties. Success. Anyone can build one! 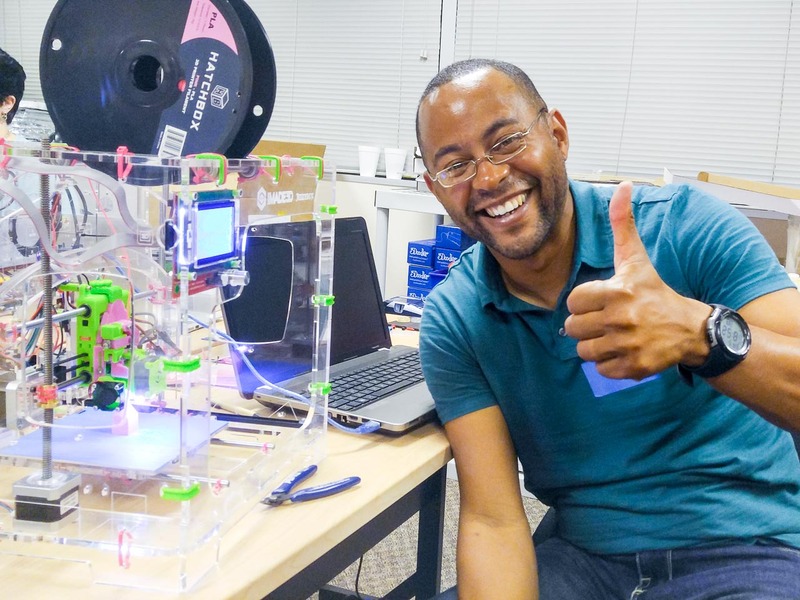 Makerspaces, Fablabs, Techshops, Hackerspaces, Artspaces, and the like: Join our partner program to become an IMADE3D certified training center. Sounds intriguing. Give me the Partnerships Spiel. 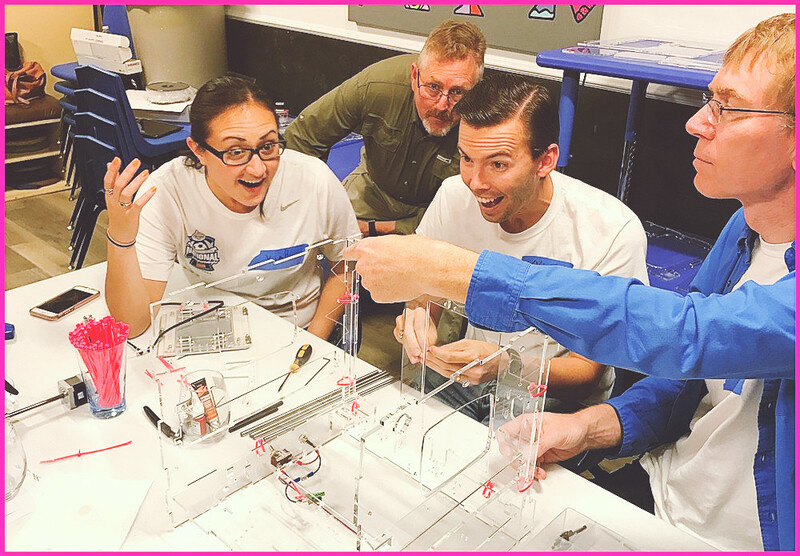 We run face-to-face workshops on “How to 3D Print” and “How to Build your own JellyBOX 3D-Printer”. 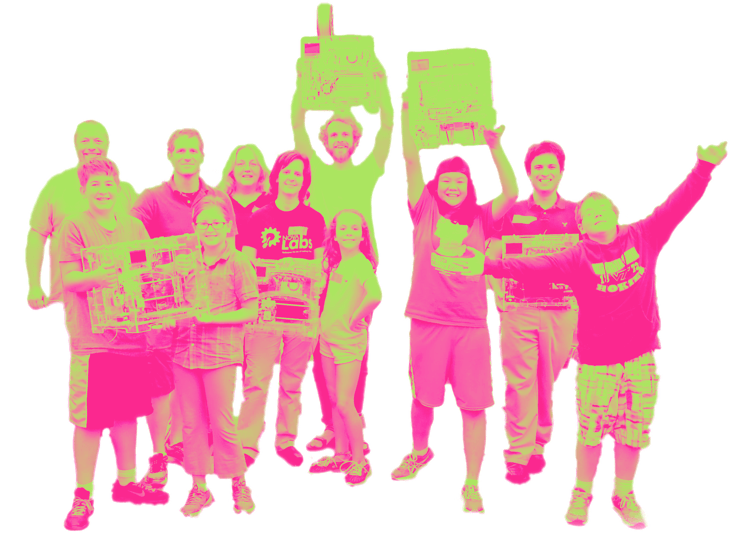 They are great for families, kids, teenagers, teachers, makers, and anyone interested in the world of 3D printing. New classes are being added all the time. First come first serve. Sign up to get notified about future dates. When? Where? Tell me more & sign me up! JellyBOX 2 Crowned Best For Schools 2017 2019! 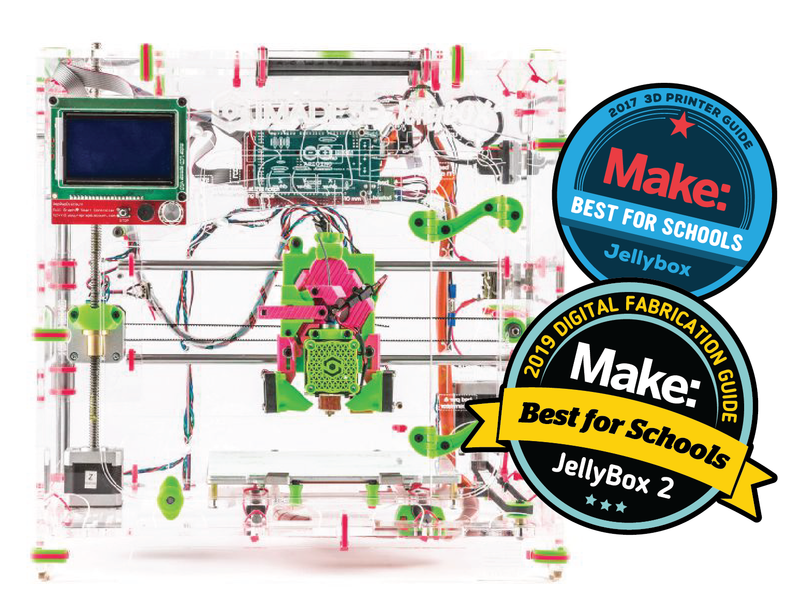 JellyBOX 2 has been awarded “Best For Schools” in the Make Magazine’s Digital Fabrication Guide for 2019! We are speechless. When JellyBOX Original won this award for 2017, it was an early validation of our design philosophy. The fact that JellyBOX 2 has now won the same award two years later is mind blowing. We tried to keep the DIY learn-by-doing spirit in JellyBOX 2 even as we redesigned every single part for a better build experience and performance. It’s gratifying to see it worked! The “science” of the Jellybox is quickly demystified. Literally anyone could build this thing. To an experienced person, I still think the quick build has a lot to offer as a learning experience. The Jellybox totally blows my mind. 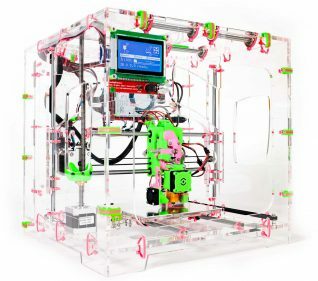 I have had the luxury of using many 3D printers ranging in price from $1000 to $250,000. I have not seen print quality like it produces from $5000 printers and some even higher. The printer is well designed, engineered, and is mostly put together with zip ties. Yes zip ties! 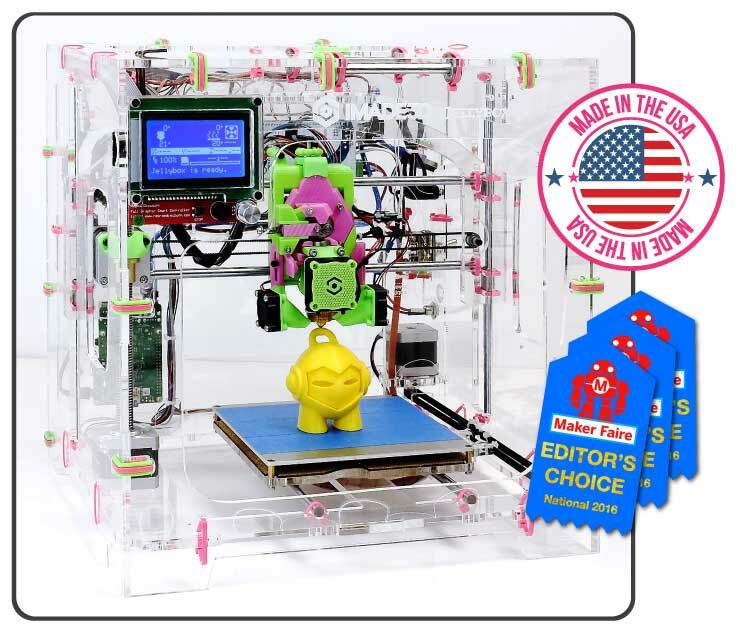 Our learning philosophy and our Jellybox printer got awarded three Editor’s Choice Ribbons at the National MakerFaire in DC, 2016. We couldn’t be happier! Check out our photo album from the event to see many smiling faces. 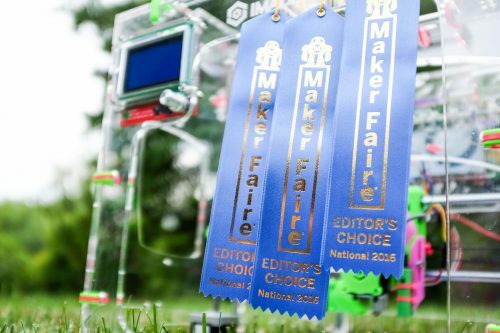 Update: We got our 4th Editor’s Choice Ribbon at the World MakerFaire in NYC, 2016! Now we couldn’t be happier.